OCmedicare.com is an independent Orange County (California) Medicare Insurance broker firm. We help you by providing caring, unbiased education and support. Therefore, you can make educated decisions about your Southern California Medicare insurance options. 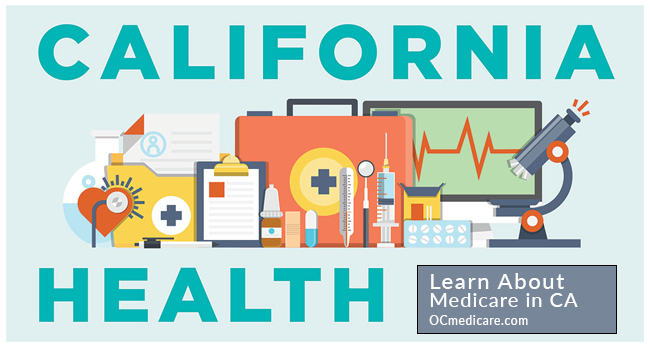 Let’s explore some facts and resources about Medicare in our state, California. Our resources page is also a great place to help answer any of your Medicare questions. Depending on your income, you may qualify for help paying your Medicare Part A or Part B premiums. However, there are also programs that help pay for some of your prescription costs. Your income has to be below a certain limit to qualify. SHIP is a federal grant that provides funding. Each state helps create programs to assist beneficiaries in better understanding Medicare. In California, the SHIP grant supports the Health Insurance Counseling and Advocacy Program (HICAP). HICAP offers one-on-one counseling for Medicare beneficiaries in California. HICAP also provides information on Medicare plans, benefits, and prescription drug plans in California. Because California is the state with the highest population, it is no surprise we have the most number of Medicare beneficiaries. Therefore, as the population ages, the percentage of Californians covered by Medicare will continue to rise. Consequently, these large numbers may make you feel that you will never find quality Medicare enrollment help. Who will answer your questions and help you determine the right plan? At OCmedicare.com, we provide free assistance so you don’t have to learn it all yourself. We will sit down with you, either in person, on the phone or via email, and help you determine the type of Medicare Insurance coverage that best fits your needs. Schedule your free, no obligation, appointment today and we’ll meet with you to review your Medicare Insurance options as well as educate you about how Medicare works.